An Enduring Guardian is someone you chose to make medical and lifestyle choices for you if you happen to lose the capacity to make those decisions for yourself. 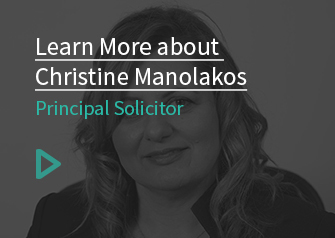 An Enduring Guardian Appointment does not give someone the power to make decisions about your money or assets – for this, you’ll need to appoint and Enduring Power of Attorney. When does the Enduring Guardian’s authority come into effect? An Enduring Guardian is only appointed to make decisions on your behalf if you have lost the capacity to make major lifestyle and health decisions on your own. How can I appoint an Enduring Guardian? Designating an Enduring Guardian involves completing an Enduring Guardian Appointment form. You can chose more than one person to operate as your Enduring Guardian, organising for them to make decisions regarding different functions of your life. For example, you could entrust one person to make any decisions about your accommodation and another trusted individual to make decisions regarding health and medical services. If I move to NSW do I need to complete a new Enduring Guardianship Appointment? No, NSW recognises Enduring Guardianship Appointments made in other states and territories. How much direction can I give my Enduring Guardian about my wishes? You should talk with your Enduring Guardian(s) about your wants and how you would like them to act on your behalf. You can also specify how your Enduring Guardian(s) should act in your Appointment contract. One of our solicitors can help ensure you communicate your wishes clearly. Can I change or end my Enduring Guardianship appointment? While you have capacity, you can make changes or cancel your Enduring Guardianship Appointment by completing a revocation form. This must be witnessed and submitted to your Enduring Guardian(s). Enduring Guardianship ends if the person you appointed the Guardianship dies or they have finalised the revocation process. However, there are courses of action that can be taken by anyone who has a genuine interest in your care and is unhappy with the decisions your Enduring Guardian is making on your behalf. This involves making an application to the Guardianship Division NSW Civil and Administrative Tribunal (NCAT) or, in more extenuating circumstances, the Supreme Court. An Enduring Guardian appointment is automatically revoked if you marry at any stage after the appointment. An Enduring Guardian may revoke their appointment by resigning form the role.